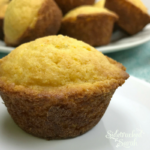 Southern Cornbread Muffins Are a Delicious Addition to Many Meals! Southern Cornbread Muffins go well with so many main dishes! Some dishes they go especially well with include Homemade Tomato Basil Soup and Crock Pot Corn Chowder Soup. Really, is there anything more satisfying than buttery Southern Cornbread Muffins? They’re filling, warm, and just plain comforting. They’re also really versatile, so they’ll go well with a wide variety of meals! Buttermilk adds a subtle but amazing richness and tang to these muffins. It also helps with the chemical reaction that helps Southern Cornbread Muffins to rise! Buttermilk isn’t an ingredient that all of us keep on hand though, and sometimes, it can be a bit difficult to find. If this is the case, don’t worry – you can easily make your own substitute. Just stir one tablespoon of lemon juice into a cup of milk. Let it sit for 5 minutes and it will be ready to go! CAN I ADD ANY ‘EXTRAS’ TO SOUTHERN CORNBREAD MUFFINS? 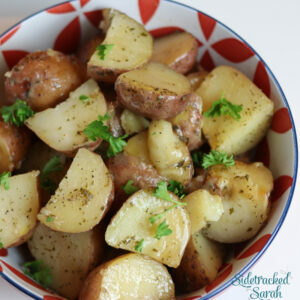 We love this recipe just as it is, but sometimes it is fun to add some fun extras. Feel free to get creative! A tablespoon or two of chives, a bit of crumbled bacon or sausage, or a little bit of honey are all fun to try. Just make sure not to go overboard – a little goes a long way! If you add in too many extras, it can affect the texture and baking time. WILL SOUTHERN CORNBREAD MUFFINS FREEZE WELL? 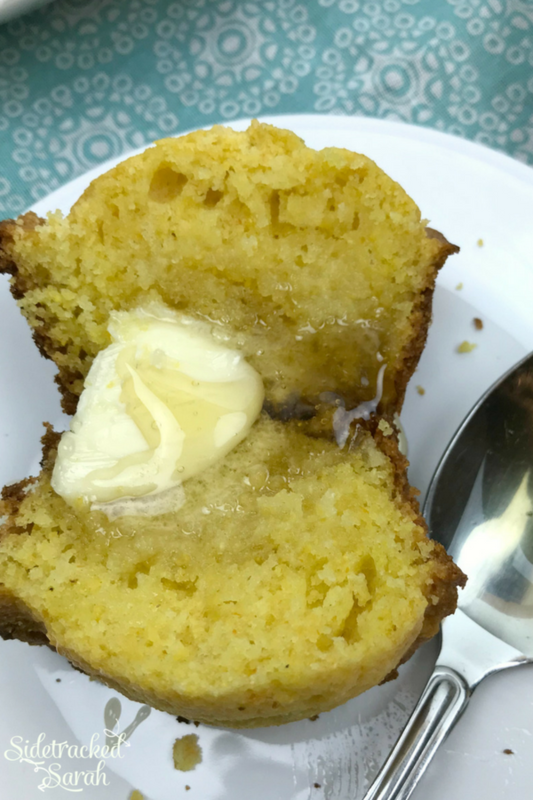 I am partial to Southern Cornbread Muffins fresh from the oven, but they do freeze well! Feel free to freeze any leftovers, or even to double the recipe and make extra. That way, you will have muffins ready to pull out and warm up at a moment’s notice! 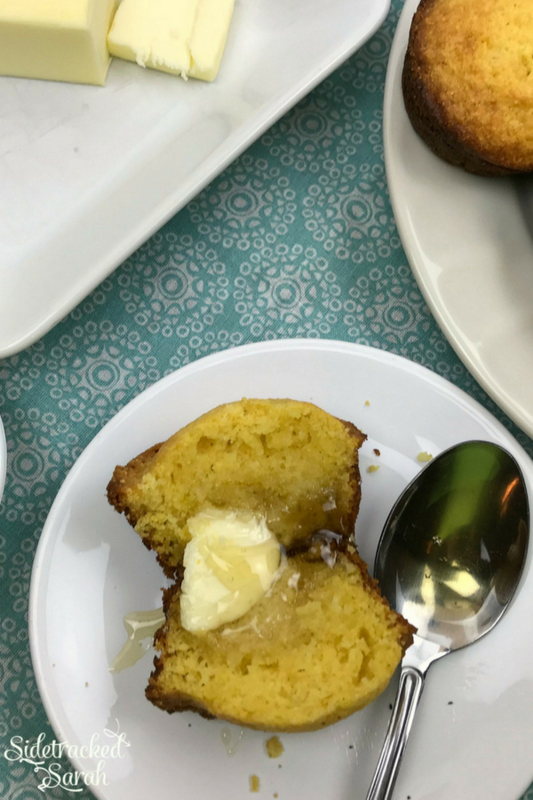 WANT MORE EASY RECIPE IDEAS TO PAIR WITH SOUTHERN CORNBREAD MUFFINS? 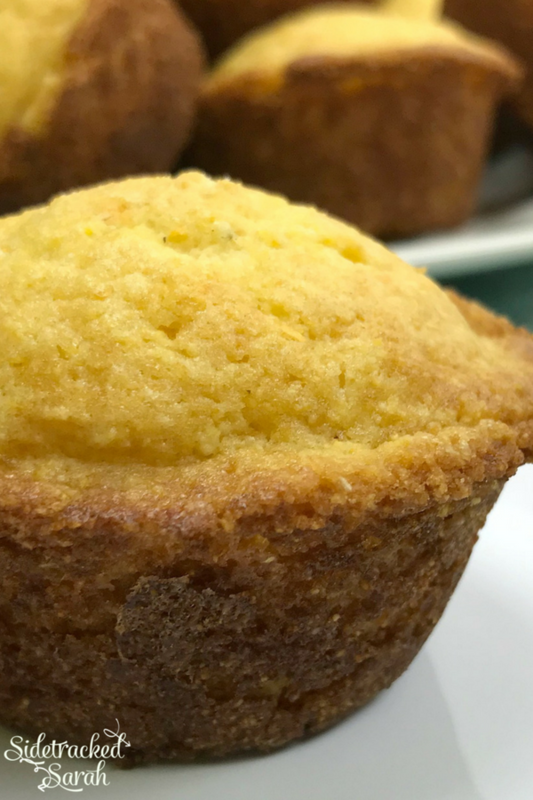 Southern Cornbread Muffins Are a Delicious, Comforting Addition to Any Meal! 1. Heat oven to 375 degrees. Prepare a muffin tin by pouring 1/2 teaspoon vegetable oil into each muffin well. Place the muffin tin in the oven as it preheats. 2. In a bowl whisk together the melted butter and sugar. Add the eggs and whisk until completely blended. Stir in the buttermilk. 3. In a separate bowl, combine the cornmeal, flour, baking soda, and salt with a fork or clean whisk. Create a well in the middle of the cornmeal bowl and pour in the buttermilk mixture. Stir just until combined. For a maximum crown on your muffins, allow the batter to rest for 5 minutes. 4. Carefully remove the muffin tin from the oven. Use a large scoop (like an ice cream scoop) to evenly divide the batter between the muffin wells. Return to oven and bake for 18 to 20 minutes or until a toothpick inserted in the middle returns with moist crumbs. 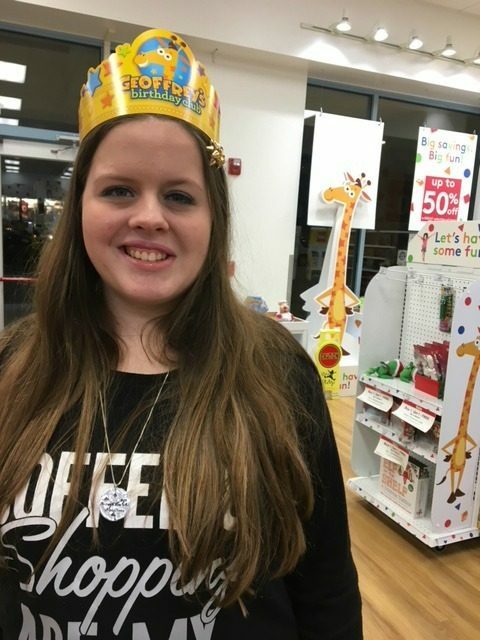 Our oldest daughter turned 18 not too long ago. I took her and some friends to Branson, Mo on a shopping trip and an overnight girls trip. We spent time being silly and having fun. I am gratefull for all of my children, but its always nice to get some time with each of them alone once in a while. It was a great trip! How to Make Meal Times Less Stressful!